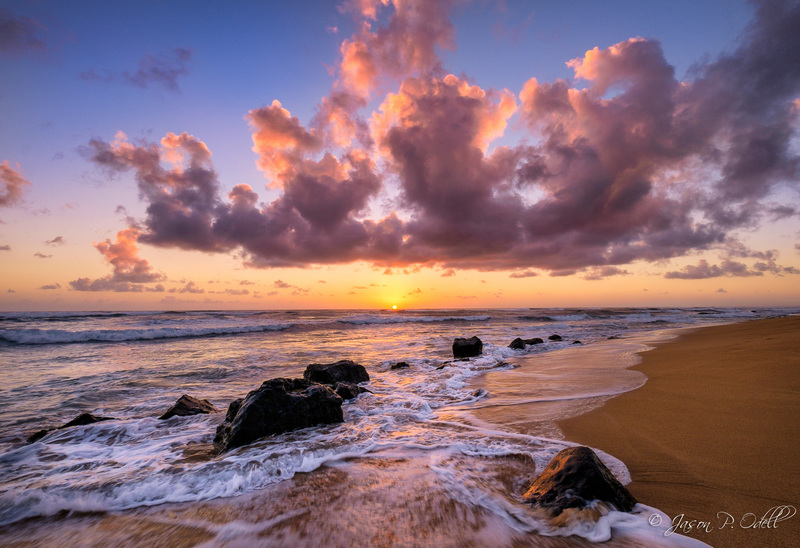 Sunrise on Kauai, Hawaii (click to enlarge). I recently returned from a family vacation. Although I mostly took snapshots, I did bring my Gitzo 1-series tripod for the occasional sunrise photo. Here’s the eastern shore of Kauai at sunrise, captured with my Fujifilm X-T1 and 10-24mm f/4 OIS Fujinon lens. The combination of the 18-135mm and 10-24mm lenses made for a great travel kit. Most of the time I shot with the 18-135mm, but in this instance I used the wider zoom to get the great perspective of the sky and ocean. Because I had my tripod, I was able to stop down to f/11 and get a 1/30s exposure, causing the motion blur in the waves. I really like the way the water blurs just enough to give this image a dynamic feeling. Earlier this year, I posted about using image stabilization with the Fuji 18-55mm f/2.8-4.0 OIS Fujinon lens. Actually, I posted about how turning OIS on ended up creating softer images than hand-holding at moderate to fast shutter speeds. It’s frustrating to me because I really like the overall sharpness and versatility of this lens, but I was at the point where I’d only turn stabilization (IS) on when I was shooting at very low shutter speeds (slower than 1/60s). Today I got a message from a friend asking if I’d tried setting stabilization to Mode 2, as he’d heard this might solve the softness issue we were both seeing with the Fuji 18-55mm lens. 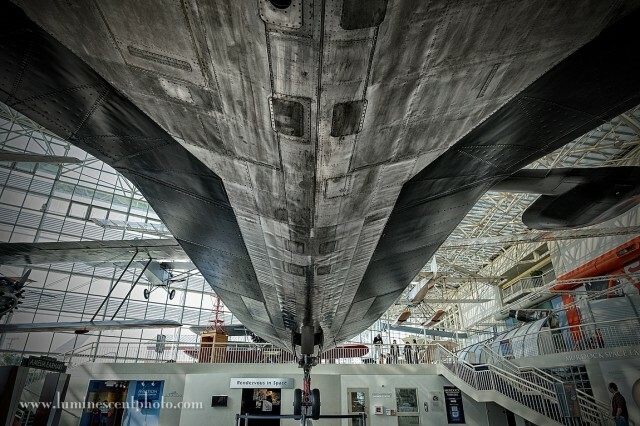 SR-71 Blackbird, Museum of Flight. Fujifilm X-T1 with 14mm f/2.8 lens. 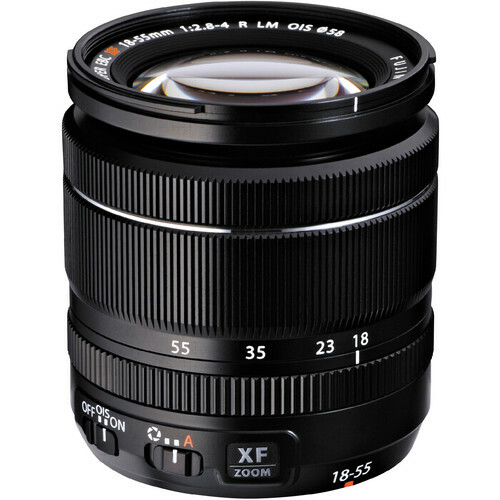 The Fuji XF 18-55mm f.2.8-4.0 R LM OIS lens has image stabilization. How well does it work? The standard kit lens for most of the Fujifilm X-mount cameras, including the X-T1 I just purchased, is the XF 18-55mm f/2.8-4.0 R LM OIS zoom lens. There’s a lot of alphabet soup going on with that name, but the main feature here is OIS, or Optical Image Stabilization. This in-lens stabilization system is intended to improve the sharpness of hand-held images of static subjects at lower shutter speeds. As someone who’s used Nikon’s VR lenses for nearly a decade now, I’m very much happy with the feature, especially when shooting indoors. 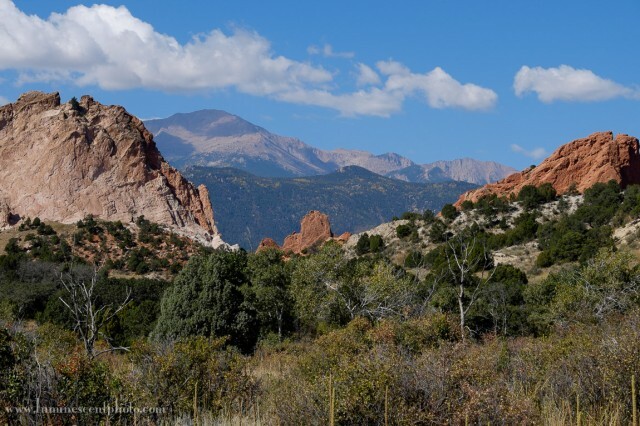 Keep in mind that no stabilization system will prevent subject motion blur at low shutter speeds.